Flexible, Interest Free Payment Plans as low as $99 a month. No Credit Check! We accept most popular insurance plans, and can offer extended payment plans, often as low as $99 a month (less than a cable bill), to ensure that finances do not stand in the way of a confident smile. Diagnostic X-rays, photos, and digital scans are all complimentary to make sure that you are comfortable with your treatment plan. Insurance can be a headache- if you have orthodontic benefits, we will take the time to submit all insurance paperwork on your behalf. We offer several employer discounts and generous family discounts if more than one family member begins treatment. Our brand new facility uses only the most advanced technologies, including digital X-rays, digital charting, and digital scanners. No need for any more messy dental molds! 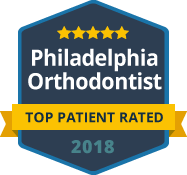 Dr. Neil graduated in the top of his class from the University of Pennsylvania, and trained at one of the most progressive residencies in the country. He has treated thousands of patients in the Philly area. We offer the highest level of care, and pride ourselves on customized treatment and short treatment times. We know that you live a busy life, and our team takes the extra steps to make treatment convenient for your lifestyle. Work late? No problem, we offer many convenient after or before work hours. If you have specific scheduling concerns, please let us know and we will do our best to accommodate your busy schedule.